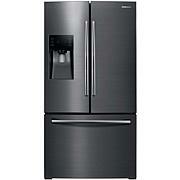 Refrigerator capacity: 13.2 cu. ft.
FlexZone capacity: 4.45 cu. ft.
Freezer capacity: 4.45 cu. ft. This Samsung 22 Cu. Ft. 4-Door Refrigerator with Flex Food Showcase features a Triple Cooling System designed to maintain optimal conditions within the refrigerator and help keep your perishable fruits and vegetables fresher, longer. 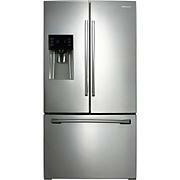 A versatile, bottom-right door can be a fridge or freezer, maximizing fresh food storage space. The most fresh food storage available in its class at 18.05 cu. ft. when the FlexZone is used as a refrigerator. Four customizable temperature settings: Fridge at 41F, chilled at 30F, Soft Freeze at 23F, and Frozen at -9F to 1F. 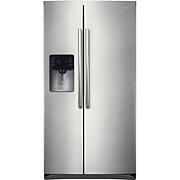 LED lighting gently brightens virtually every corner of your refrigerator so youre able to quickly spot what you want. Plus, it emits less heat and is more energy-efficient than conventional lighting. The sleek design saves more space than traditional incandescent light bulbs. In love with my new fridge! 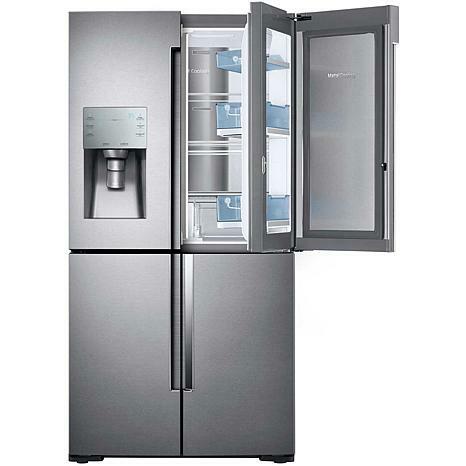 I have owned counter depth refrigerators before and this one is the most spacious one. It doesn't even feel like it is counter depth! I love the showcase door to quickly get all my daily essentials without having to open both doors. However, my favorite part is the freezer. 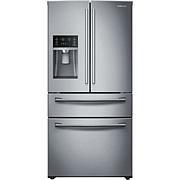 I have so much room (unlike most french door counter depth refrigerators) that my freezer looks empty, and I'm only using one side of the freezer which is completely separate from the other side. Love my fridge!